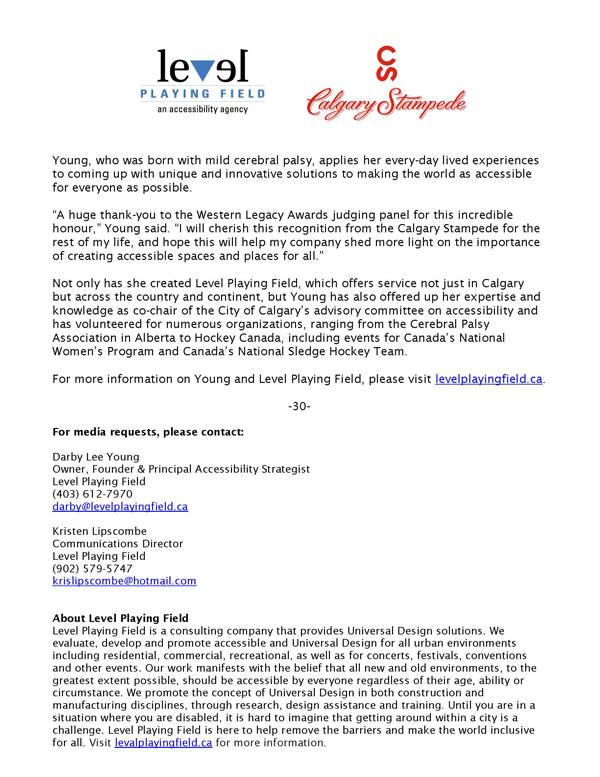 accessible – and ultimately more successful –she answers in simple yet poignant terms. 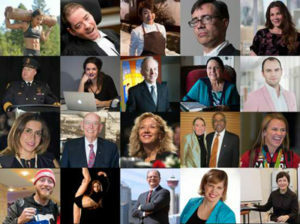 “As soon as there’s a barrier, my independence is gone,” Young, who was born with mild cerebral palsy and has overcome obstacles her entire life, recently told The Calgary Herald. 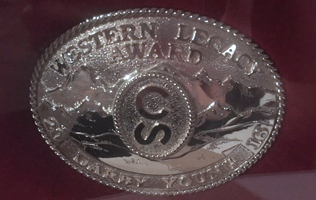 company, Level Playing Field, from passion-fuelled grassroots initiative to impressive blossoming business in just under a year. 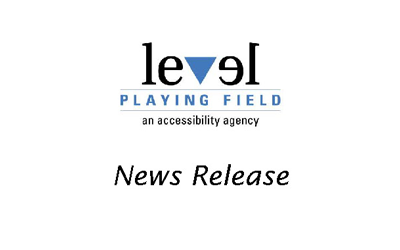 Click on the page above to read the full press release. 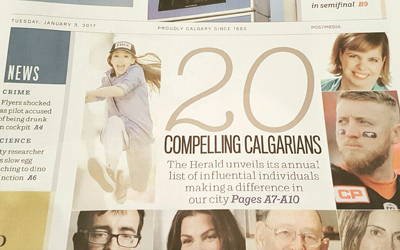 The Herald unveils its annual list of 20 individuals making their mark on our city, and who are worth keeping an eye on in the year to come and beyond. 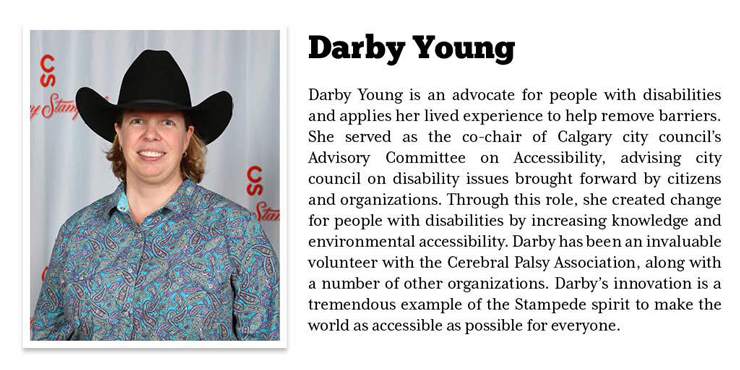 Darby Lee Young wants Calgary to be among the most accessible cities in Canada, and she’s doing her part to realize that objective. Click here to read the Herald article as a PDF. 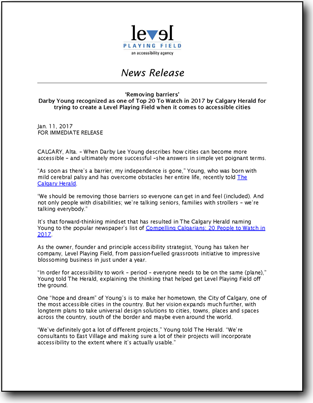 Click here to go to the original Herald article. We have a Winner! 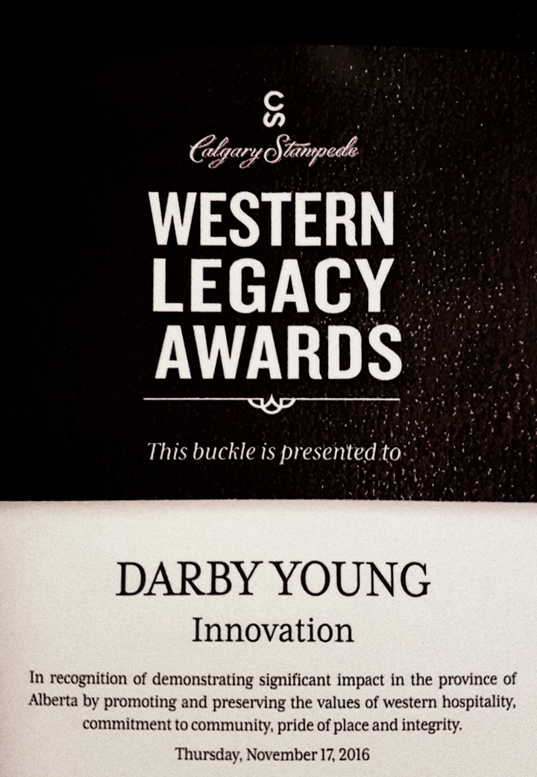 Congratulations to Principal Darby Young on winning the Western Legacy Award in Innovation!